Together, let’s design and create flowers which reflect your style and express your individuality. Creativity, excitement, romance and just a little drama – these are a few of the emotions that come together when a wedding day approaches. Let me use my experience as a wedding and event florist to help you through the process of choosing your special wedding day flowers. Our wedding flower service covers Edinburgh, the Lothians, central Scotland, Fife, Perthshire and the Borders. Passionate about wedding flowers, Val uses her experience to help our brides and grooms to decide on their personal wedding flower selections. Decisions on specific floral arrangements are often based on your personality, style and the mood you wish to create on your wedding day. We are happy to discuss all your wedding flower requirements and use our industry knowledge – gained over the last 15 years – to create beautiful wedding flower arrangements that meet your requirements and works to your budget, whether large and small. The Flower Studio and workshop is based in Linlithgow, West Lothian. Our focus is on your special wedding day and we provide a flexible service with appointments available 7 days per week, also evenings and weekends, at a time to suit you. 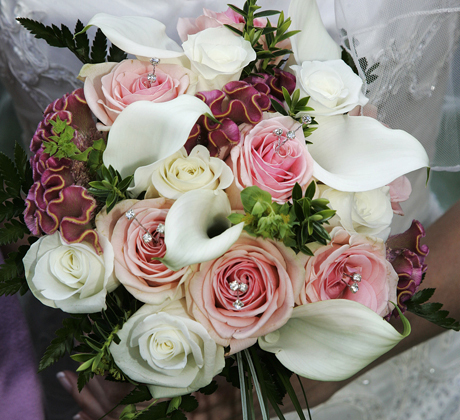 Val Hamilton Flowers provide a complete wedding flower service from an initial meeting and presentation of costings quotes. 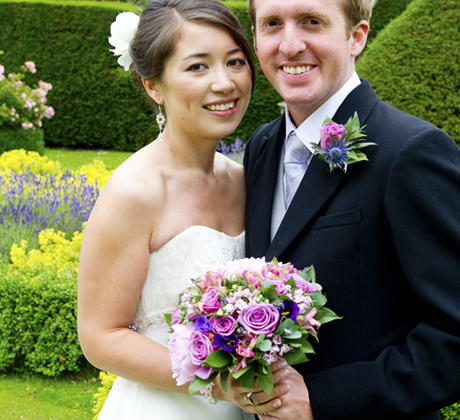 Through to the creation and delivery to both home and wedding venue of all bridal flowers, buttonholes, ladies corsages, ceremony and reception flowers. 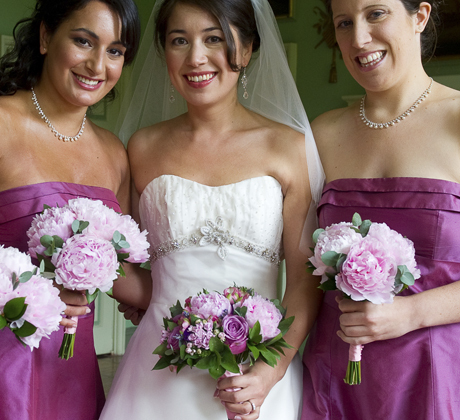 “We design and create wedding flowers which reflect your style and express your individuality.